From a contemporary press report. 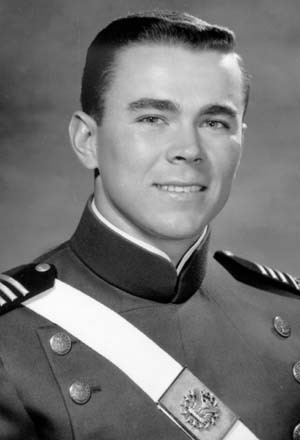 The remains of Air Force Capt Leo Tarlton Thomas Jr. of Georgetown, Kentucky, whose plane was shot down in 1971 during the Vietnam War, have been identified, the Pentagon announced yesterday. But after all these years, his mother, Nora E. Thomas Grant, says she can't help but feel a little bitter toward the U.S. government. "Twenty-four years. Twenty four years," Grant repeated again and again. "Don't you think that's not right?" Until yesterday, Thomas had been listed as unaccounted for. 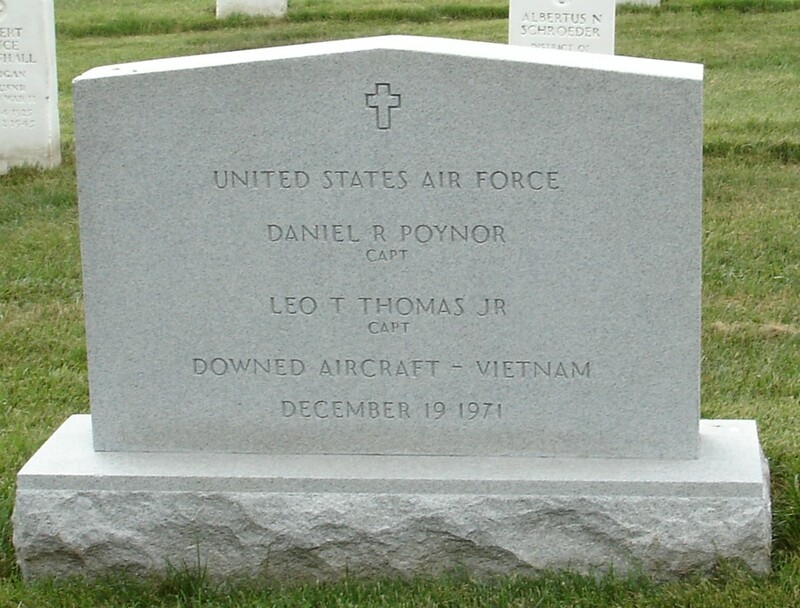 The remains identified yesterday as his and those of his navigator, Captain Daniel R. Poyner of Enid, Oklahoma, were recovered and sent to the United States on June 3, 1994, as the result of a joint US-Laotian excavation. Grant said she and her two daughters were asked to give blood tests to the Pentagon last year to help determine if the remains were those of her son. 31 and on his second tour in Vietnam. When he died, he left behind a newborn son, Leo T. Thomas III of Covington, Ohio, now 24.
work as a pilot. "He did what he wanted to do," she said. An article in the June 27 Herald-Leader about the return of a Georgetown man's remains from Vietnam gave the incorrect date for a memorial service in his honor at Arlington National Cemetery. The service, for Capt Leo T. Thomas Jr., will take place at 1:30 pm on July 19, 2001.